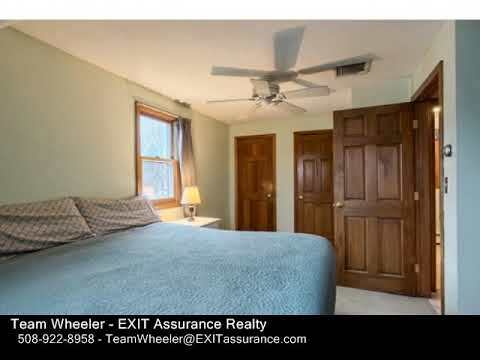 Team Wheeler is a real estate service team in EXIT Assurance Realty. Team Wheeler specializes in the sale & lease of residential and commercial real estate and investment properties in the greater Middlesex and Worcester Massachusetts counties, including Ashby, Dunstable, Westford, Chelmsford, Boxborough, Bolton, Harvard, Littleton, Lancaster, Leominster, Lunenburg, Pepperell, Shirley, Ayer, Fitchburg, Tyngsborough, Berlin, Southborough, Northborough, Westborough, Marlborough, Natick, Framingham and surrounding areas. If you're interested in a career in real estate, watch any of these videos, then decide if you want to be part of the most exciting, forward-thinking real estate companies in the industry. Watch, and see why. Click HERE. Watch the EXIT Story. How and Why EXIT Started. Click HERE. EXIT Assurance Realty is a Member Company of Assurance Realty Group, Inc.